Earn your food handler's card online! In most states it is required for anyone who is involved in the process of food making to have a Food Safety Card. The card proves that you have the knowledge necessary to prepare, store, and serve food at a food facility in a safe manner. Can I get a food safety card online? Yes, you can! 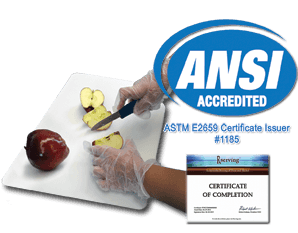 We offer a Food Safety for Handlers online course that will allow you to earn your Food Safety Card once you have successfully completed the course. 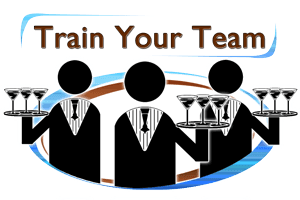 How can I get a food safety card for my entire staff? It's very simple. We can provide you an Employer Account at no additional cost to help you get each and every one of your food handlers a Food Safety Card. The Employer Account allows you to monitor employee progress as they move through the Food Safety for Handler course on their own. Your employer account will allow you to track progress and print certificates for any of your employees that complete the course. Click on the course you wish to take. Click "add to cart" & checkout to register for the course. After you checkout, you will receive an email with a link to set your password and login to take the course at your convenience.